Holy baby boom! 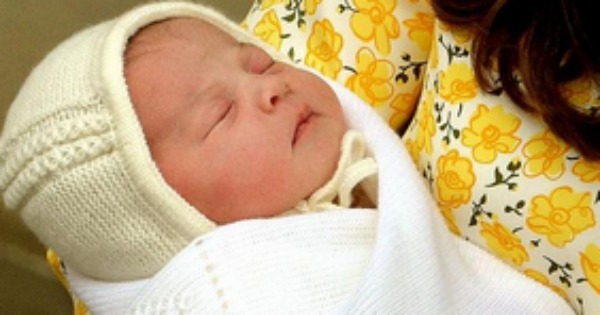 Sure, we all know Princess Charlotte and Saint West arrived this year but who were the other celebrity babies born in 2015? We’ve rounded them up, for your celebrity-stalking enjoyment. 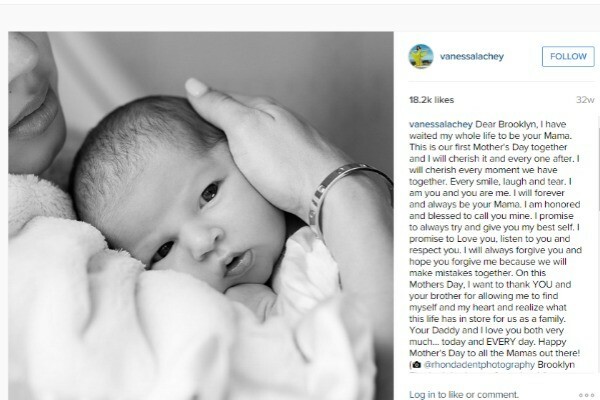 Vanessa Lachey and husband Nick Lachey welcomed their second child, a daughter named Brooklyn, in early January. Brooklyn joins big brother Camden. 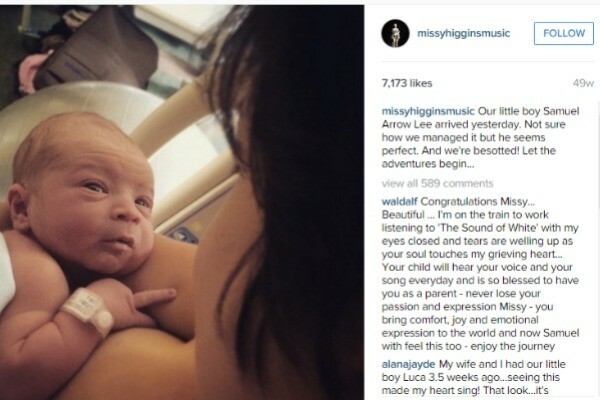 Missy Higgins was one of the first Australian celebrities to welcome a baby in 2015 with the birth of her son Samuel Arrow, also in January. 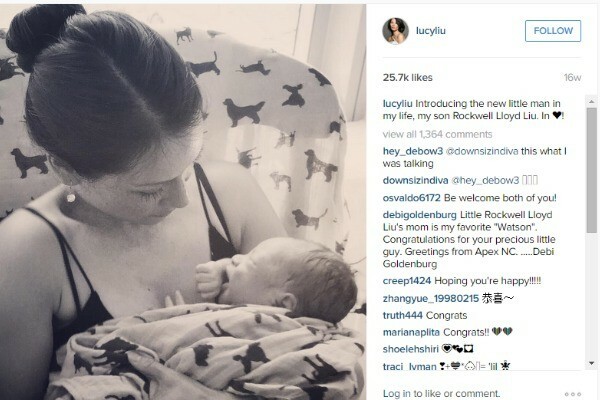 Nicole Trunfio and her partner Gary Clark Jr welcomed their firstborn, son Zion, in early January 2015 as well. January was a busy month as actress Beverley Mitchell and husband Michael Cameron welcomed their second child, a boy. This is the second child for Beverley who also has a daughter, Kenzie Lynne, born in 2013. 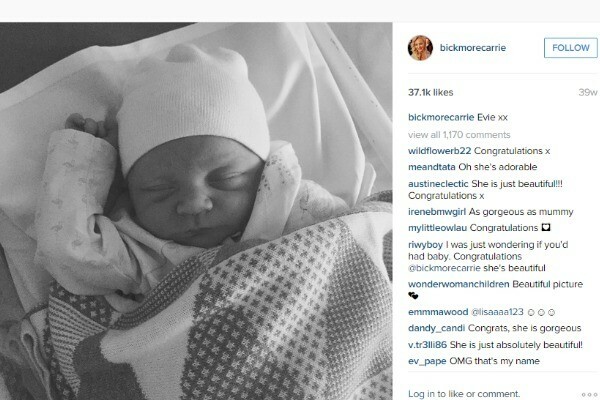 Carrie Bickmore and her partner Chris Walker welcomed baby Evie in January too. Carrie also has a seven-year-old son named Oliver, with her late husband, Greg Lange. Shakira and her boyfriend Gerard Piqué welcomed their second son, Sasha, another January baby. The couple also have a son, Milan, born in 2013. 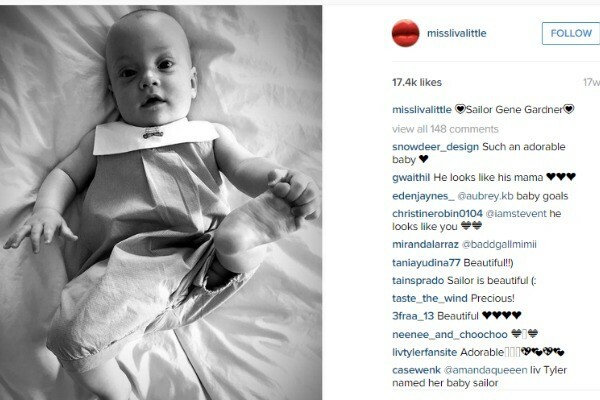 Liv Tyler and her boyfriend Dave Gardner welcomed Sailor in February. Liv is also mum to Milo, to whom she gave birth in 2004. Country singer Carrie Underwood and her husband, professional hockey player Mike Fisher, welcomed their first child in February. Also in February, The Big Bang Theory actress Sara Gilbert and her wife, musician Linda Perry, announced the birth of their son, Rhodes. Gilbert has two children from a previous relationship, son Levi, 10, and daughter Sawyer, seven. 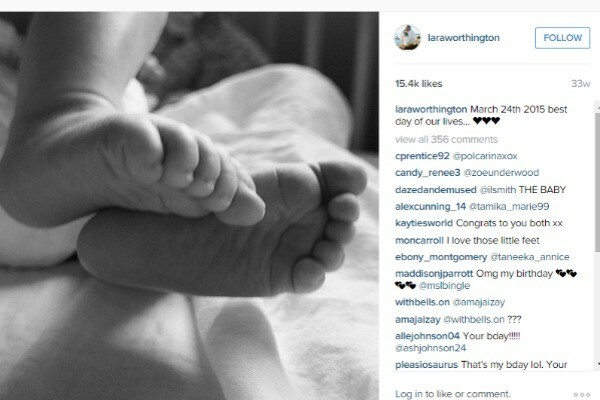 Lara Bingle Worthington and husband Sam Worthington welcomed their firstborn, Rocket, in March 2015. Lara managed to keep her pregnancy (partially) under wraps from the public. Cate Blanchett confirmed this year that she and husband, Andrew Upton, adopted a daughter, Edith. Edith joins the couple’s other three children, Dashiell, 13, Roman, 10, and Ignatius, six. 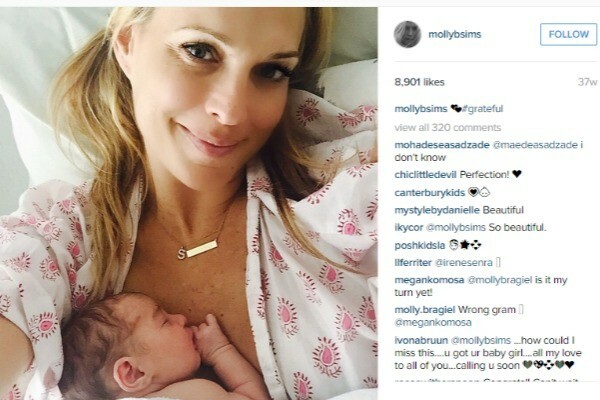 Actress and model Molly Sims and her husband Scott Stuber welcomed baby Scarlett in March 2015. Scarlett joins big brother Brooks Alan who was born in 2013. Asher Keddie and her partner, Vincent Fantauzzo, welcomed son Valentino in early March 2015. Valentino is younger brother to Luca – Vincent’s five-year-old son from a previous relationship. Isla Fisher and Sasha Baron Cohen welcomed their third child, a boy named Montgomery, in April this year. They have two daughters, Elula Lottie and Olive. Also in April, model and actress Milla Jovovich and her director husband Paul W.S. Anderson welcomed their second child, a daughter, Dashiel. 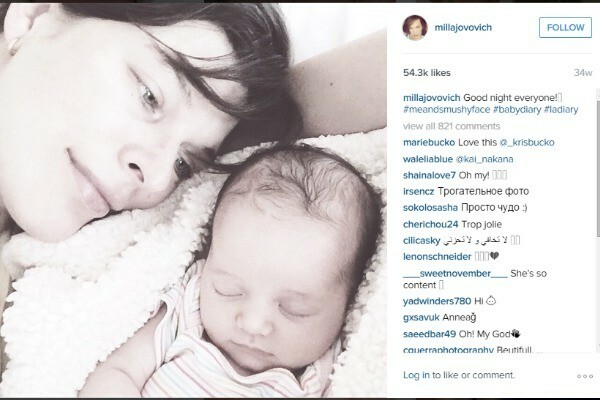 Milla has another daughter, Ever Gabo, born in November 2007. Actress Rachael Leigh Cook’s and husband Daniel Gilles’ baby Theodore arrived in April too. Theo also has an older sister, Charlotte Easton, who was born in 2013. 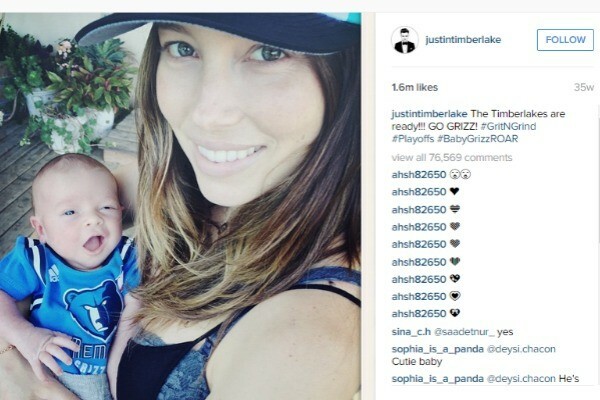 Jessica Biel and husband Justin Timberlake welcomed their firstborn, Silas, in April 2015. The royal princess made her grand appearance in May 2015 and, as you can expect, the entire world fell in love. 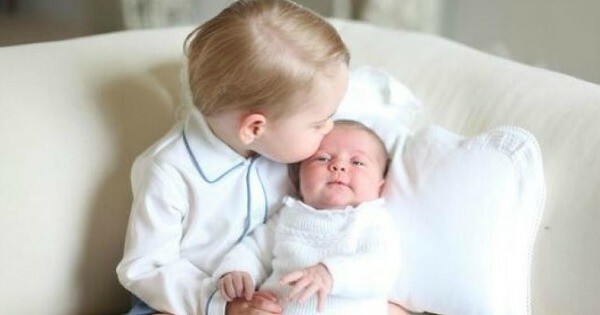 Princess Charlotte joins her big brother, Prince George, born in July 2013. Lucy Liu announced the arrival of her first child, a son, via gestational surrogate in August 2015. Leighton Meester and Adam Brody also welcomed their first child in August 2105 – a little girl named Arlo. Michael and Kyly Clarke welcomed their daughter a few weeks earlier than expected, in November this year. They announced her name a few days later. Facebook founder Mark Zuckerberg and wife, Priscilla Chan, welcomed their daughter, Maxima, in early December this year. Kim Kardashian West and Kanye West welcomed their second child, Saint, in December this year. Saint joins big sister North. 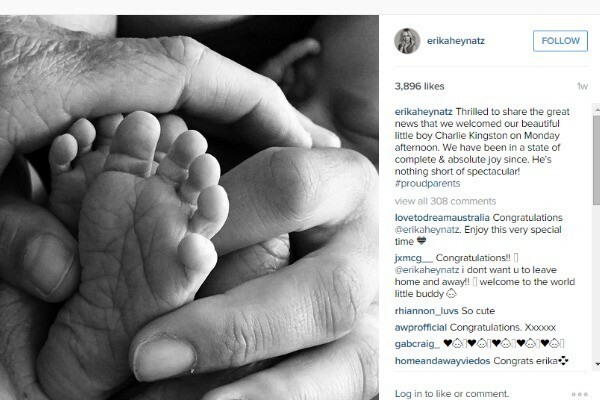 A beautiful baby boy was born in December to Home and Away star Erika Heynatz and her partner, Andrew Kingston, their first child. 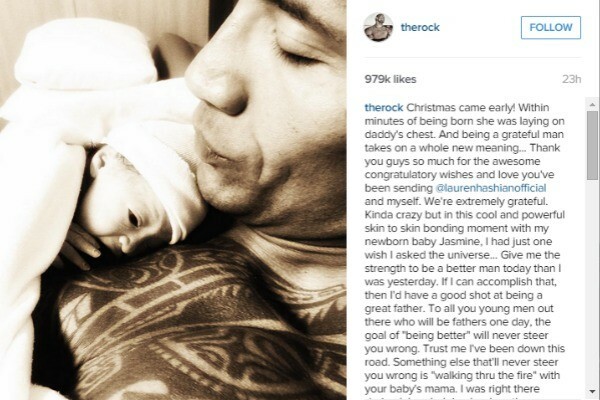 Dwayne “The Rock” Johnson also became a dad in December with the birth of his daughter, with partner Lauren Hashian, just a couple of weeks ago. Michelle Bridges and Steve “The Commando” Willis also recently welcomed their son, Axel, into the world. This is the first child for The Biggest Loser couple. 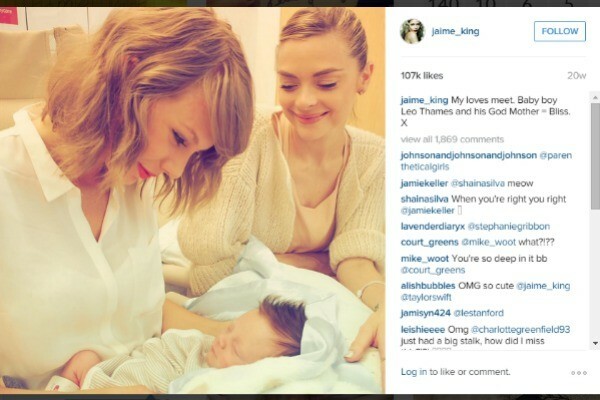 There were plenty more celebrity babies born in 2015 (in fact, so many we couldn’t keep up!). Some of the other celebrities who welcomed little ones into the world last year include Charlize Theron (daughter August via adoption), Jennifer Love Hewitt (son Atticus James), Jack Osborne (daughter Andy Rose), Benedict Cumberbatch (son Christopher), Keira Knightley (daughter Edie), Emily Deschanel (son Calvin), Zooey Deschanel (daughter Elsie), Jenna Bush Hager (daughter Poppy) and Jaime King (son Leo). Make sure you also check out our celebrity baby bumps of 2015 and stay tuned for more baby arrivals in 2016!